In a previous article, I talked about Hornbills iBridge which is our solution for integrating with other cloud solutions. The iBridge can also be used to integrate with some on premise systems too but as we build the integrations for the iBridge this is generally not flexible enough for most situations. In order to integrate with systems behind an enterprise firewall we decided to look at what was already available and in use by our customers, this is where we found Microsoft System Center Orchestrator. For those of you who are not familiar with this tool, MSSC Orchestrator fits within the IT Operations Management market space and is a combination of an integration bridge and a flow orchestrator. Actually, to be honest the lines between these two things are a great deal more blurred in MSSC Orchestrator then they ought to be, but that’s a whole other article. Integrations are connections that perform specific tasks on other systems, for example create a user account in AD is a good example. Once you have a number of these integrations they can be strung together as part of a flow which Microsoft call a “Runbook”, a name which comes from mainframe concepts in the 70’s. 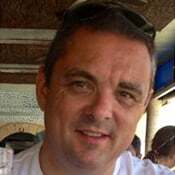 As a customer, your IT teams can create integrations and runbooks to suit your specific business needs and exposed these through a unified interface that less technical business users can make use of (at least that’s the idea, not everyone gets this right). Creating integrations and runbooks in this tool is a fairly technical task and requires a good level of technical competence to undertake. In truth, Microsoft System Center Orchestrator has some serious flaws, we found it fairly difficult and clunky to use when working with it to create our content packs. The upside though, is it really supports Windows environments well with a lot of useful content packs out there ready to plug in and use, which is why we decided to include it in our integration strategy. 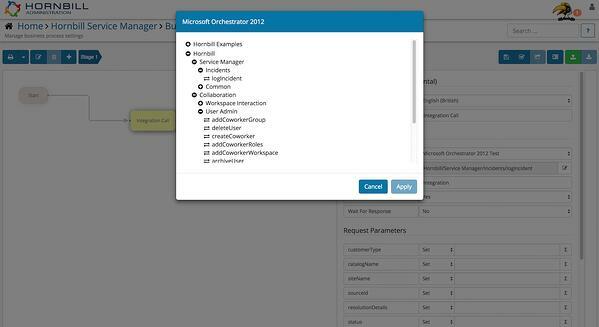 Anyway, to cut to the chase - we have created a seamless integration with Microsoft System Center Orchestrator making runbooks directly accessible from within our business process tool. In fact; you can connect to any number of MSSC Orchestrator instances within your environment in a simple and secure way. Once the connection is setup and established you can browse the content tree and use the RunBooks as automations in your business processes running on the Hornbill platform - point and click us and of course absolutely no coding required. 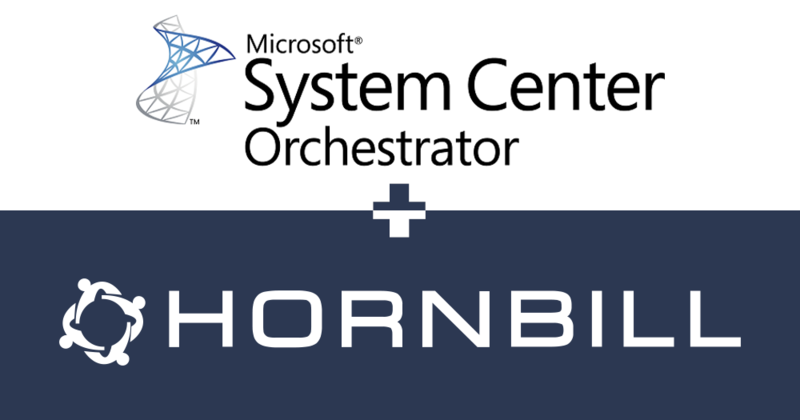 In addition to being able to trigger runbooks from our BPM, if you are a Microsoft System Center Orchestrator user you can download and install the Hornbill Content Pack for Microsoft System Center Orchestrator which gives you a fully tested (and supported) set of ready-made runbooks that enable you to perform automated actions on Hornbill such as post to a workspace, log an incident, problem or change etc. This capability is very empowering for our customers, from an integration point of view we are enabling our customers to orchestrate complex automations from within the Hornbill Business Process tool, with no programming expertise required. Not only that, because MS Orchestrator sits behind the enterprise firewall we are joining cloud and on-premise systems automation in a seamless and secure way. At the time of writing this article our customers are already taking advantage of this capability and I look forward to hearing more great stories around this as they unfold.